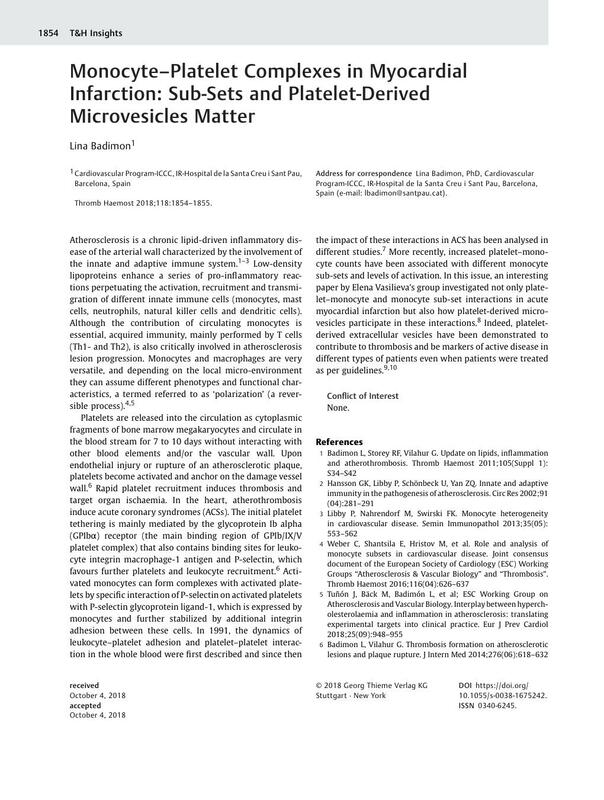 8 Loguinova M, Pinegina N, Kogan V. , et al. Monocytes of different subsets in complexes with platelets in patients with myocardial infarction. Thromb Haemost Haemost 2018; 118 (11) DOI: 10.1055/s-0038-1673342.